Barcelona have struck a €150m (£132m) deal with Liverpool to sign attacking midfielder Philippe Coutinho next month, according to Catalan newspaper Sport. The Reds have reportedly agreed to part company with the Brazil international. Coutinho, aged 25, handed in a transfer request in the last transfer window in an effort to force through his move to the Camp Nou. His request was rejected by the Anfield hierarchy, who also turned down three bids from Barca. The third and final of those bids was an offer of £119m, which was rejected by Liverpool in August. But they have seemingly agreed to do business if the Catalan giants return with an improved offer of €150m, which they are expected to do in the January transfer window. 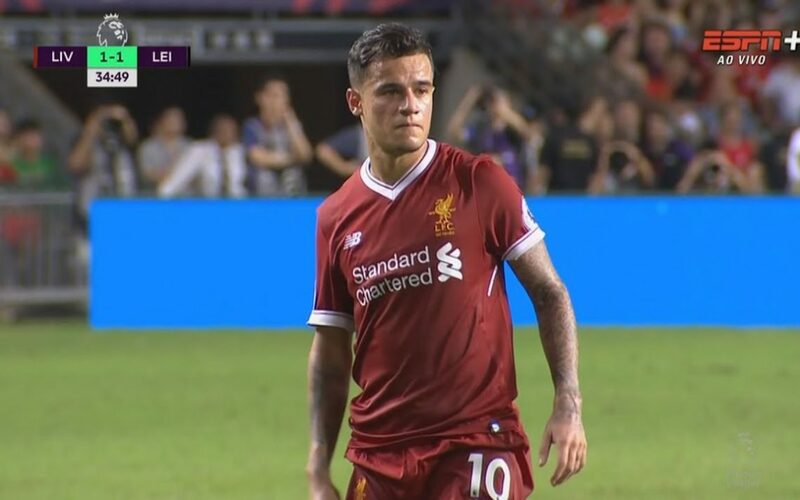 The report claims that Coutinho’s camp are confident the deal will now go through and his representatives have been in Barcelona to discuss terms. He is expected to sign a five-year contract worth €12m a year.